In our wide range of products, we offer best quality Polyester Waddings and quilt waddings. The products are created from natural fibers. These are known for their durability and reliable performance. The fabric is used in various application areas. We offer 40-400 gsm range. Moreover, our products include cotton, wool, silk and all other animal and plant fibers. Further, the fabric is used in various application areas such as medicine, aeronautics, residential & commercial furnishing and modern apparels. We offer qualitative polyester waddings and quilt waddings, which are of soft and stiff finishes and can be provided as per the specific requirement of our customers. These are used for clothing, upholstery such as jackets, quilts, sleeping bags, furnishings etc. Our range includes-Wadding Polyester (Poly fill) are used as insulators, which are useful in manufacturing Jaipuri quilt and jackets. Polyester Wadding (quilt waddings) are of chemical bonded & thermal bonded waddings. Further, our chemical bonded waddings weigh from 30 gsm up to 300 gsm and the thermal bonded waddings are from 100 gsm up to 1000 gsm. Bhavana Interior Designers & Decorators is the key Polyester Wadding Manufacturers & Suppliers in Bangalore of a wide variety of Wadding that finds many applications like filling, stuffing, packing, lining, padding, cushioning, reinforcement, protection, etc. It shows a mix of varying thickness, right volume / weight, perfect designing and fibre uniformity. 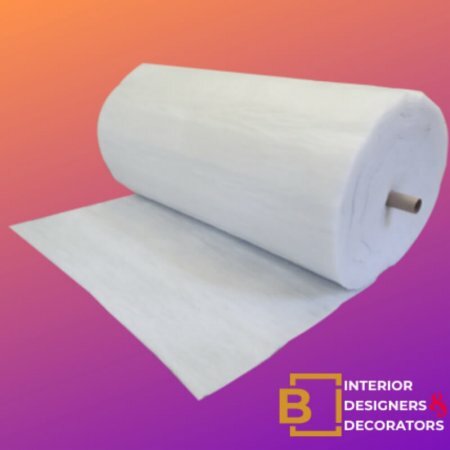 Under this category we offer Poly Wadding Rolls, Micro Fibre Wadding, Polyester Wadding, Insulation Wadding, Quilt Waddings, Polyester Batting, Cotton Batting, Cotton Pads etc. All these are suitable for various industry verticals with their features of smooth texture, good tear resistance, eco friendliness and high strength. Also, our Wadding meet fire and safety regulations. It is fine for transportation uses in order to increase loading capacity in a container. There are a couple of downsides to polyester wadding (Quilt Battings) that need to be considered while choosing what is the best type of quilt to buy. The first is that when it burns it leaves a residue that melts into the skin. The next is its bearding qualities. Bearding is the migration of fibers through the outer layers of your quilt. Once this begins it is impossible to stop. One way to minimize this is to check that the wadding has a resin coating on both sides. 100% polyester wadding is the perfect choice if you are wanting to make a thick and also very lightweight quilt. It comes in the widest range of lofts & thicknesses and also comes as a cotton blend. It is a very durable, man-made fiber that is most commonly made from polyethylene, a nonrenewable source. Because of this it is not a breathable fiber like natural fibers. The very thick or lofty wadding can be difficult to machine quilt so using the tying method is best to overcome this. Bearding can technically happen with any type of wadding, it’s just more common with polyester. Don’t be put off from using this wadding as sometimes polyester is the best choice for your quilting project. A petroleum-based product, not renewable like organic cotton, wool or bamboo. Bearding does not always develop immediately. Often it occurs gradually with repeated use and/or washing. Polyester/cotton wadding is loftier and shrinks less than 100% cotton. Recommended quilting distance: varies by brand.